This startup launched in October of last year with a novel social reading platform that drew readers in by offering the ability to import your ebooks from your Nook and Kindle accounts. That feature fell by the wayside, and so did the social reading. BookShout put out a press release today and announced that they are offering a new service to authors and publishers. They're now going to help publishers and authors distribute ebooks (both free and paid) in bulk to fans, reading groups, and the like. BookShout, which is available on the web and for Android and iOS, recently rolled out tools for digital bulk sales and promotions. 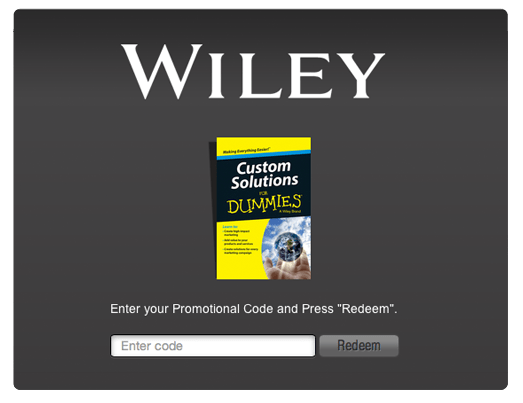 It offers gift cards and promo codes and added an “author circles” feature that lets authors communicate with their fans. The company says it is working with 250 publishers and sells over 100,000 ebooks on its platform. But it would not reveal how many users it has. But the press release today does offer more information, so I thought it was worth a post. BookShout is now offering a bulk ebook distribution service which competes indirectly with Livrada and Enthrill. Available for readers on iPads, iPhones, Android devices, Kindle Fire HD, Nook HD/HD+ and the web, BookShout! is the only platform where publishers can fulfill digital bulk ebook distribution with DRM, white-labeled redemption pages and contact capture tools. See, that doesn't mention the Nook and Kindle Stores. This is an important distinction because Livrada can offer bulk ebook distribution which the end user can redeem through the Kindle, Nook, and other ebookstores. Their platform was initially based on a gift card system which of course had to work with the ebookstores that consumers wanted to use. BookShout! today announced that a number of prestigious companies, including CareerBuilder, HarperCollins Publishers, Microsoft, Startup Revolution, Wiley and others are using BookShout!’s bulk ebook distribution and fulfillment services. Publishers can use BookShout! to fulfill orders with emailed promotional codes, physical gift cards or embeddable links. But in spite of the lack of support for the major ebookstores, BookShout does have at least one card up its sleeve. Their platform is focused more in giving the author/publisher more control. It's a white-label solution, and for example BookShout offers partners the option of branded redemption pages like the one shown at right. That type of branding can be worth a lot.